What a fun time, this design is a coverup of a coverup. 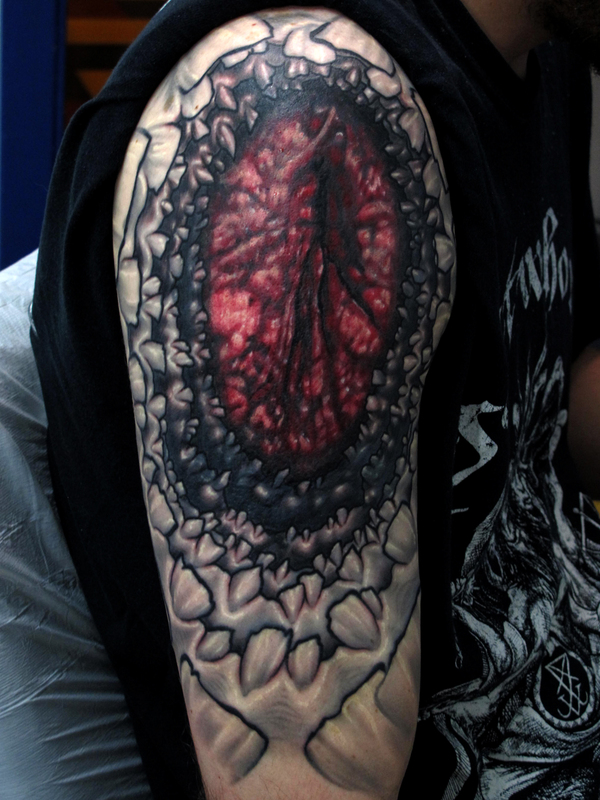 This entry was posted on February 27, 2012 at 8:51 pm and is filed under Tattoo with tags Bloody, Gash, Teeth. You can follow any responses to this entry through the RSS 2.0 feed. You can leave a response, or trackback from your own site. If you can do this great of a job of a coverup of a coverup, well we need to find some images to go over my stars. Sick color by the way.